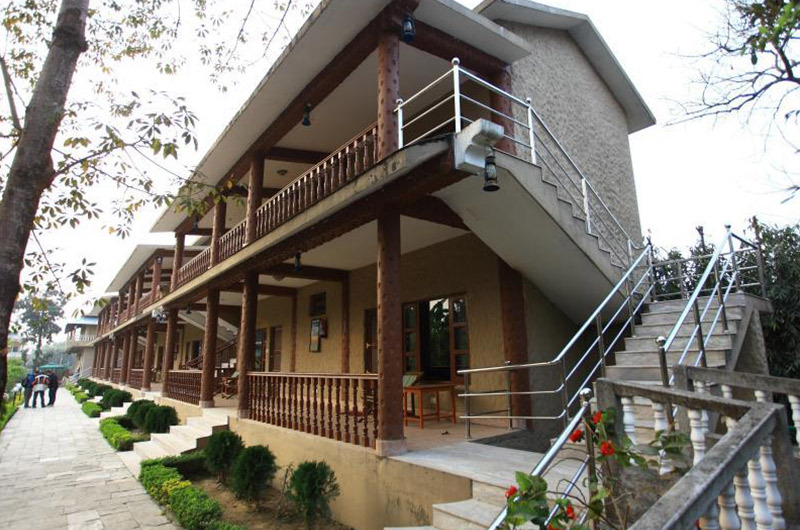 The Rhino Residency Resort is an exciting combination of luxury and wildlife adventure in chitwan national park. it can be reached by a 4-hour drive from Kathmandu. the resort offers you three guest blocks, each comprising of 8 air-conditioned and well-furnished rooms with attached baths with 24-hour hot and cold water supply and a veranda. Multi cuisine restaurant is also available, as is a beautiful garden and a swimming pool surrounded by thatched umbrella shades and hammocks. The Rhino Residency Resort, an exciting combination of luxury and wildlife adventure in Chitwan National Park, which started its operation from January 2000. The RRR with its ideal location at Sauraha, a minute’s walk away from the Chitwan National Park, can be reached by four hours picturesque drive from Kathmandu. The C.N.P. known the over for being one of the most, well-managed parks in Asia, is home for more than 550 varied species of birds, the Great Asian one-horned rhinoceros, the Bengal tiger, the leopard, the sloth bear besides deer, monkeys, crocodiles and other small mammals. The well-trained staff is always at your service, ever ready to offer you the best in services and hospitality. We offer you nature walks, briefing about elephants, bathing with them and elephant ride safari. Slide show presentations, tharu cultural dance programmes, village tours, jungle excursions, jungle drives, bird watching tours and other wildlife related and cultural activities besides the use of other facilities like swimming pool, badminton court, tennis court, library, mini museum, conference room (for 40 people) and more.. 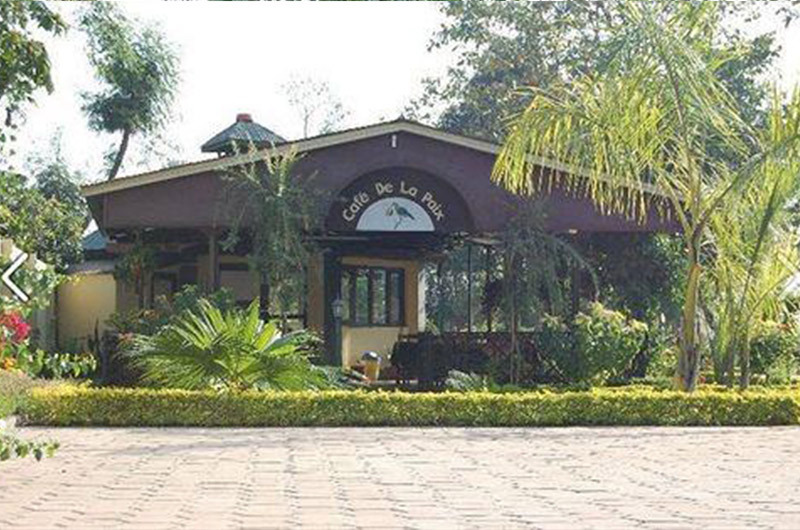 Situated at only a 15-minute walking distance from the center of Sauraha, the resort also offers shuttle service on request. Jungle safari lodge has 20 air-conditioned rooms in cottage-like buildings, with attached bath and 24-hour hot and cold water supply.